THe ultimate camping experience starts Friday afternoon with a plethora of activities and entertainment and all for a good cause. 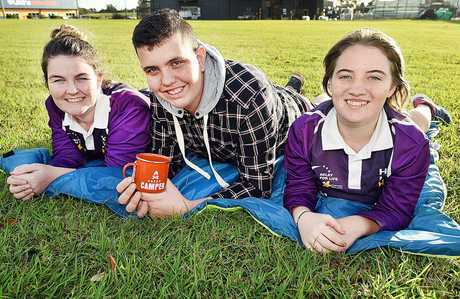 Tea and Toasters Hervey Bay Relay For Life team have organised their Country Campout Weekend in Childers. The event aims to raise funds for Cancer Council Queensland's work in cancer research, prevention and support services. 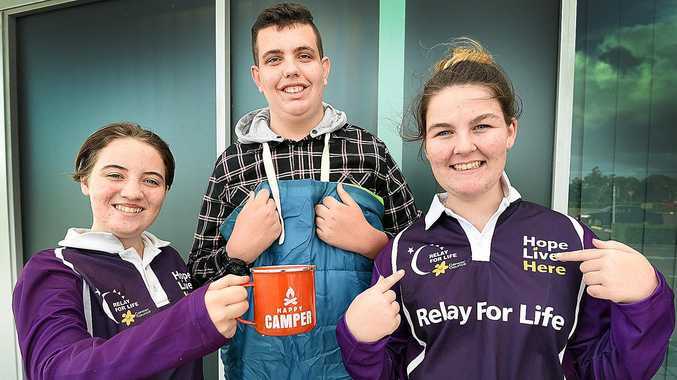 Country Campout Weekend organiser and Hervey Bay Relay for Life committee member Luke Strochnetter said it was the second time the event has been put on and it was growing significantly. "We had 40 people booked in last year and have over 100 people coming this year with people coming from Noosa, The Sunshine Coast, Bundaberg, Childers, Fraser Coast and surrounds for the event. "Guests last year loved the event and urged us to make the Campout an annual event. "Most of the guests that supported us last year, have rebooked in this year and are bringing all of their friends, which is absolutely awesome." There will be plenty of activities and entertainment for everyone, including live music, kayaking, fishing, swimming, bush walks or farm visits. There will also be ladder golf competitions, ultimate survivor, a Minute to Win It competition, random bingo, a country and western party as well as movies. Guests need to bring camping equipment and food, and powered sites can be arranged after booking. Tickets and more information can be found at teaandtoasters.eventsmart.com. 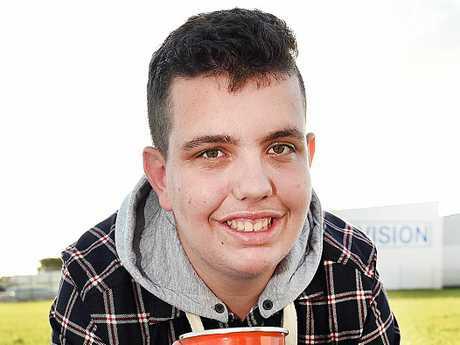 Luke started attended relay events five years ago and have been a member of the team for two. "I joined Relay for Life as i have lost a few close friends and family to cancer and i really wanted to make a difference. "I have a passion for event management, so it is the perfect way to raise awareness for the amazing work and services that Cancer Council Qld provides thanks to funds raised through Relay for Life. "As a year 12 student at Urangan High, it is really stressful doing school and running events but i love doing it and i love being able to give back." The young committee member said they raise more than $600 last year. "Tea and Toasters have been doing relay for over five years and is comprised of mostly under 18 year olds," he said. "As a team last year we raised over $10,000 with all our events combined." Luke said there were so many great charity events in Hervey Bay and surrounds but they saw a gap and wanted to fill it. "I really wanted to put on a weekend where families can come along and have an awesome time with everything organised for them while raising funds for such a good cause," he said. "I love seeing the looks on everyone faces when they attend these events as it makes all the hard work worth it and makes us remember why we do what we do." Locals are invited to join for a weekend of fundraising, camping and entertainment at Lake Redbrook Holiday Retreat, 122 Farnsfield Rd, Childers from Friday, May 18 to Sunday, May 20. Tickets are available for $59.95 per person and include a non- powered camping site, use of all park amenities and facilities and all activities and entertainment. Campers were invited to check in anytime from 2pm on Friday and check out by 12.30pm on the Sunday.